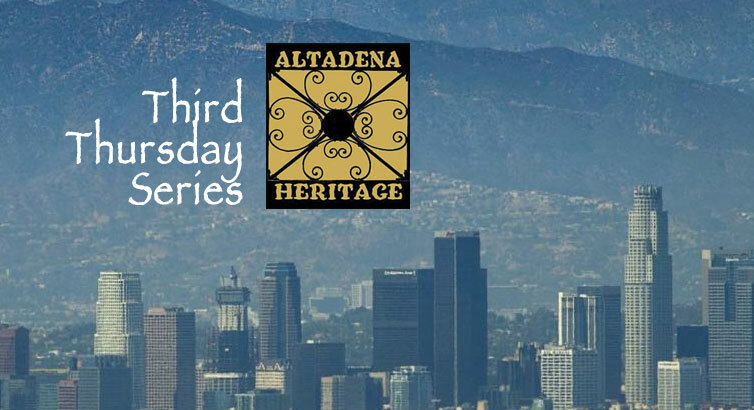 Altadena Heritage engages the community with a variety of educational and celebratory public events. We have only one general members’ meeting each year --our Annual Members Meeting & Holiday Celebration -- a festive occasion where we also vote in board members. Other events are open to the public, either free or with a member discount. 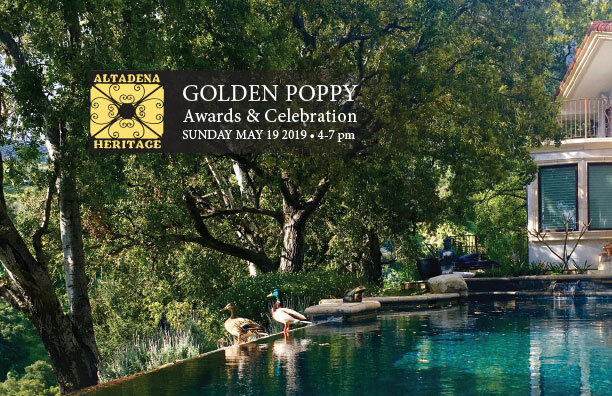 We hold our Golden Poppy Garden Awards & Garden Party each spring in a different glorious Altadena garden. Other events repeat irregularly when we are inspired. The AHA! (Altadena Heritage Area) Program celebrates special places or neighborhoods around town, and we have dedicated seven since 2000, most recently the “Equestrian Block” (2013) which honored Altadena’s Equestrian Heritage with a lively program at Altadena Stables. We offer most of our educational events at Altadena Community Center, for free or at nominal cost. Our Heritage of Abundance Sustainability Series has addressed such topics as Growing Fruit Trees in the Shadow of the San Gabriels, a Tomato Workshop demonstrating ways to process home-grown tomatoes, Old Window Restoration, Affordable Gray Water Systems, Make your Home Energy Efficient, and many more. A recurring theme we’ve revisited over the years has been water: how it gets to us, and how we can use it efficiently. We’ve sponsored a few home/garden/studio tours over the years, and special one-off programs, include such past events as Breakfast at Nuccios, our tour of Homes of Altadena Artists, and our Modernist Homes in Altadena tour and many others.